Fostering close relationships and experience that lead to customer loyalty isn’t just good for a brand’s reputation; it’s good for its bottom line. 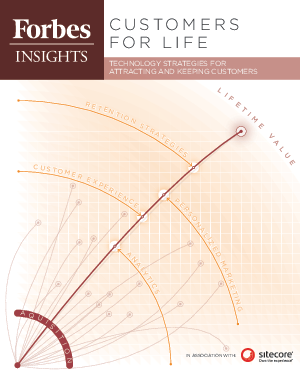 However, organizations are slow to wake up to the bottom-line benefits of attracting customers for life. To shed light on this issue, Forbes Insights, in association with Sitecore, conducted a survey.